up tents, weather resistant tents and custom tents. Messaging and branding is simple with the opportunity for custom printed graphics. Outdoor banners, flags and signage add additional messaging space to your outdoor display. 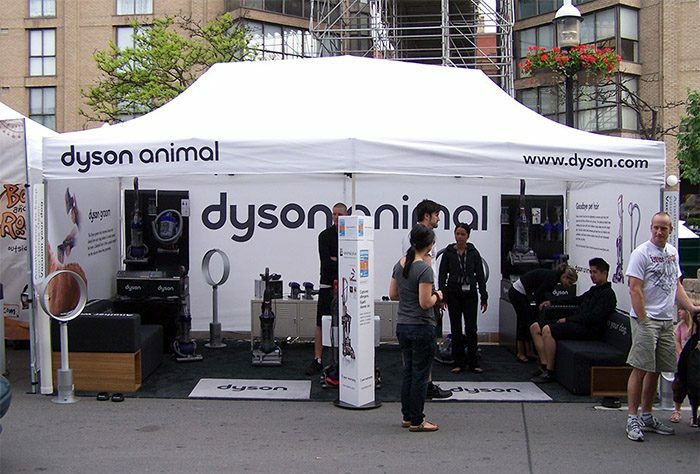 Tents allow participation at events in all weather and the walls are also perfect for use as traffic barriers and to help to enclose your space while allowing for air flow throughout. Flags are ideal displays for outdoor sporting events, concerts, golf tournaments and festivals or to draw attention to a store front or local business. And they are great for roadside advertising. With a wide range of sizes and graphic options including teardrop, straight and more, it is easy to find the perfect messaging solution. For indoor or outdoor use, the flexible design options allow for special effects such as the graphic rotating in the wind, double-sided printing and various combinations of sizes and shapes. 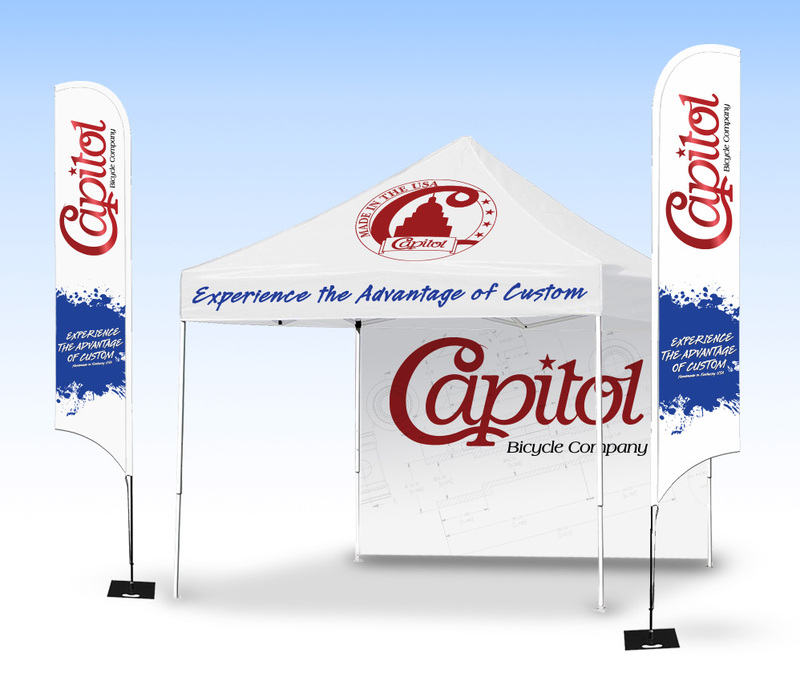 We customize flags with your message and logo to draw attention to your event or business. An easy and effective way to draw a crowd!